“Sometimes,” I answered. She remarked how great it would be work to such peaceful sounds. I imagine it’s very different from her kindergarten classroom. Lately I’ve been listening to a lot of English church music. 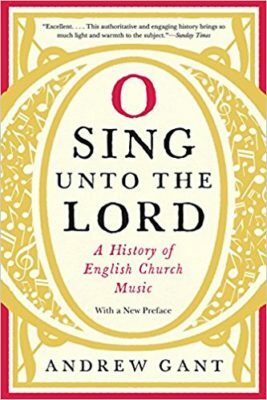 I read a book entitled O Sing Unto the Lord: A History of English Church Music by Andrew Gant. It’s a delightfully witty and informative book, but I discovered that I didn’t know many of the pieces he was discussing. Therefore I started creating a YouTube playlist. What resulted was a playlist hours long that in chronological order moves from medieval chant to striking twenty-first century anthems. I’ve been listening to it a lot while working, mowing the lawn, cooking dinner, driving. Here’s the link if you’d like to listen. 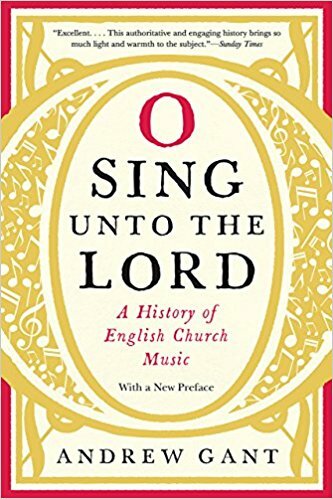 English church music reached a high point just before Henry VIII destroyed the monasteries and, thus, the centuries-old choral tradition of the nation. The most surprising piece of pre-Reformation music is Robert Wylkynson’s 13-part harmony Jesus autem transiens. Frankly I didn’t know that 13-part harmony was even a thing. The Tudor Era is rich and complex as the religious fortunes of Protestants and Catholics kept shifting and musicians struggled to literally survive. The greatest composer of this period (and maybe in all of English history) is Thomas Tallis. His music evolves with the changing political fortunes from polyphony to psalm tune to high masses to Elizabethan anthems. For simple beauty listen to If Ye Love Me, which was played at the recent royal wedding (I was excited I knew the name of the piece when it started playing!). But Tallis’ most stunning piece is a 40 voice motet entitled Spem in alium. Stuart era music can be excessive, then there is the sudden break with tradition as the Puritans gain power during the Civil War and many of the greatest English musicians went into exile. They wrote some very plaintive pieces during this time, such as Thomas Tomkins Sad Pavan for These Distracted Times. The new burst of congregational singing does generate some beautiful music of its own, such as that found in the Bay Psalm Book. At the restoration of the monarchy there was a burst of triumphant choral anthems, though I frankly don’t get much out of this period, represented most vividly by Henry Purcell. English church music’s next great period was introduced by a German—Handel. Andrew Gant doesn’t count Handel’s oratorios like Messiah as church music, because they were designed to be performed for paying audiences in concert and not part of worship. But he does include the coronation anthems, as coronation is a worship service, and the greatest of these is Handel’s Zadok the Priest. The following centuries include the development of the hymn with many familiar pieces by Isaac Watts, Charles Wesley, and others. Many of the beautiful Christmas carols originate in this time as well. The twentieth century began with triumphant nationalism soon devastated by the First World War. The greatest English church music composer of this period is Ralph Vaughn Williams. Since the mid-twentieth century there has been a burst of new growth in English church music with choral evensong an important part of the cultural life of the nation. A renewed interest in the rich tradition combined with a great diversity of new sound. A few of my favourites from this section of the playlist include the lovely Amen by Gerald Finzi, the startling Cantos Sagrados by James MacMillan, or the carol Torches by John Joubert which sounds like a blend of the best of traditional choral music with rock influences. Yes, this is good music to work to. Not only because it is beautiful but also because in it we hear history and theology and the long struggle of the church through joy and sadness, violence and celebration, to express the glory of God in worship.